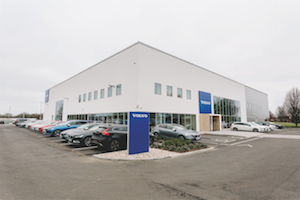 A new Training and Development Centre has been opened by Volvo Car UK, following a recruitment drive to employ 300 new technicians into its dealer network by 2020. The Daventry-based premises comes as a £6m investment that will offer year round training for Volvo staff and its retail network. To support this, the site contains a 16-vehicle bay workshop, accompanied with a spacious auditorium and classrooms featuring remote video and web-based technologies for supporting off-site and online training. In addition, the centre is equipped to assist technicians with servicing electric and autonomous vehicles. The launch will help streamline the firm’s operations including its new Volvo Retail Experience (VRE) and Volvo Personal Service (VPS) retail initiatives as Jon Wakefield, Managing Director of Volvo Car UK, highlights: “I’m very proud of our new training facility, which represents a significant commitment to both our operations in Daventry and our retailer network throughout the country. introducing to the customer experience.” The dealership is already hosting training programmes for its new XC40 premium compact SUV that will appear in UK retailers early this year. The full list of courses can be accessed via Volvo’s website (volvocars.com).